All Men need some special care, prepare to relax with this ultimate indulging package. Starting with an exclusive Hammam session which will prepare the skin for a detoxifying cleanse and scrub on the body. Following this you will receive a stress relieving Back Massage specifically designed to work out all aches and pains built up in the Muscles. 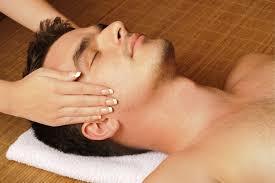 An Indian Head Massage will continue to help release any stress and mental fatigue. A tailored La Sultane de Saba Mini Radiance Facial will ensure the skin feels revived and clear from blockage like that of an ancient Greek God. To finish the day you will enjoy a selection of Herbal Teas in the Spa relaxation area.